Extension to CS-Cart and Multi-Vendor allows you to create promotion, that will discount products in category, depending on amount of products purchased by customer from other category. 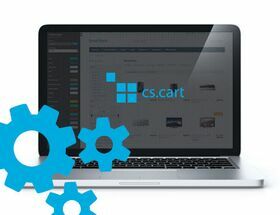 When customer adds to the cart some products from Desktops category, he will get discount for the same amount of products from Tablets and Laptops categories. Customer purchased two computers, so two tablets in cart were discounted by half (as defined in promotion configuration). If customer will add to cart more products from Tablets and Laptops categories, they won't be discounted and notification will be displayed. If there will be more than one product in cart from Tablets or Laptops tab, only cheapest products will be discounted, which amount is lower or equal to amount of products from Desktops category. Tablet is cheaper than laptop, so it was discounted. However, both products fit into promotion conditions.